A dual diagnosis, or co-occurring disorder, is a separate, underlying mental health disorder that occurs alongside substance addiction. According to the National Institute on Drug Abuse, more than half of individuals who struggle with mental health disorders will also experience substance abuse issues. These underlying disorders can affect long-term recovery and require dedicated treatment. Common co-occurring disorders include anxiety, depression, bipolar disorder, panic disorders, and post-traumatic stress disorder. Because every individual experiences mental illness differently, personalized treatment leads to the greatest chance of long-term recovery. For many clients, an explanation for the emotions that may have triggered substance abuse brings relief. The diagnosis also allows wellness professionals to create a more effective treatment plan. Anxiety disorders affect 40 million adults, or 18% of the population. Although everyone can relate to occasional feelings of anxiety, those who suffer from anxiety disorders experience feelings of panic and danger on a regular basis. The disorder affects relationships and interrupts daily life. Common anxiety disorders include generalized anxiety disorder, social anxiety disorder, and separation anxiety disorder. Some people experience elements of two or more disorders. Formerly called manic depressive disorder, bipolar disorder is categorized by extreme mood swings. Users experience periods of euphoria and high energy, followed by periods of deep depression. Psychiatrists typically prescribe medication combined with counseling to help recognize and manage mood swings. Perhaps the most commonly occurring co-current disorder, depression affects about 6.7% of the U.S. adult population. The illness is characterized by feelings of ongoing sadness, listlessness and loss of interest in previously enjoyed activities for a consistent period of time, typically longer than 6 months. The condition is often present with alcohol and prescription drug abuse, with nearly 30% of sufferers also reporting problems with substance addiction, according to a study by the University of Utah. 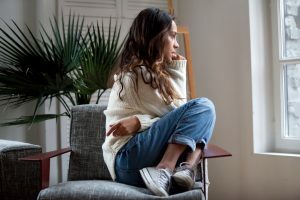 Since depression affects people in different ways, treatment for the disorder varies, but typically includes a combination of medication and psychotherapy. Other common disorders that can co-concur with substance abuse are PTSD, schizophrenia and eating disorders, such as anorexia nervosa, bulimia and binge eating disorder. Although not categorized as mental health issues, emotional trauma and chronic pain can also affect drug addiction recovery, so it’s important to inform treatment providers about any history of emotional or physical abuse, chronic physical pain or severe trauma, all of which can complicate the treatment process in the same way that a dual diagnosis can. Even though these experiences may not be categorized in the same way, they often require the same approach to treatment. Moreover, traumatic experiences often lead to recognized disorders, such as PTSD, so sharing all relevant information can help your provider make the right treatment decision. One of the biggest risks to a client facing an underlying mental health issue is returning to day-to-day life after drug addiction treatment. Without strategies to manage mental health disorders, those in recovery may turn to old habits, including alcohol and drug use, to help them cope. Because of this, recovery is only possible with the guidance to work through the emotions and impulses that often accompany mental illness and mood disorders. In some cases, prescribed medication can make a life-changing difference, and in many others, ongoing counseling helps as well. But without recognizing mental health conditions as separate issues from drug addiction, wellness professionals cannot the support needed to ensure long-term recovery. Treatment starts with the recognition that co-concurring disorders exist separately from physical drug dependency and require dedicated treatment for successful recovery. Only by sharing your complete history and any underlying issues can you help wellness professionals create a program that leads to lifelong recovery. A dual diagnosis can be difficult to recognize, since drug addiction can often cause emotional swings and behaviors reminiscent of mental illness and mood disorders. This makes the assessment an important part of recovery. Success is far more likely when wellness professionals understand the mental health history, personality and common behaviors of someone with a dual diagnosis. The understanding allows them to recommend the right combination of treatments, including psychiatric care when needed. A dual diagnosis may mean more time in treatment, but it can also mean more successful treatment. If you or someone you know has received a dual diagnosis, get in touch to learn more about how you can find comprehensive and personalized treatment, unique to your history and personality.